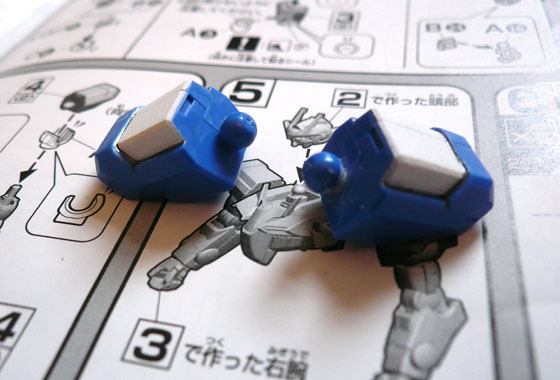 Tubbygaijin.com » HG 1/144 00 Raiser: Progress! 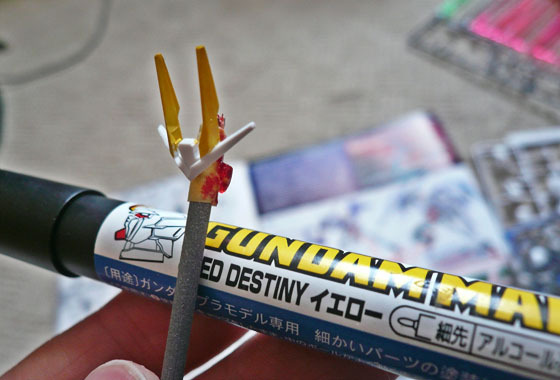 Emma’s been out in York today, so I dragged myself away from Mass Effect 2 for a delightful bit of Gundam building! Used a yellow Gundam marker to colour the vertical fins, might still sand these down a bit so they’re sharper..
And finally masked off those grey parts of the legs for spraying.. The result, better than a foil sticker any day of the week! Going to plod on with this one, should have something resembling a Gundam fairly soon! Kit Instructions: Follow to the letter? Nah, I build the interesting bits first! 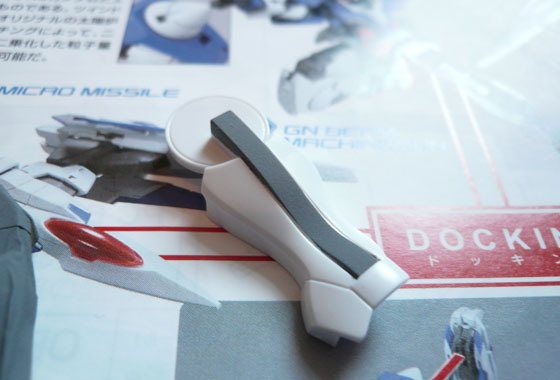 5 Responses to HG 1/144 00 Raiser: Progress! I usually build what I want to build first. Either from the legs up or from the body then extending out. 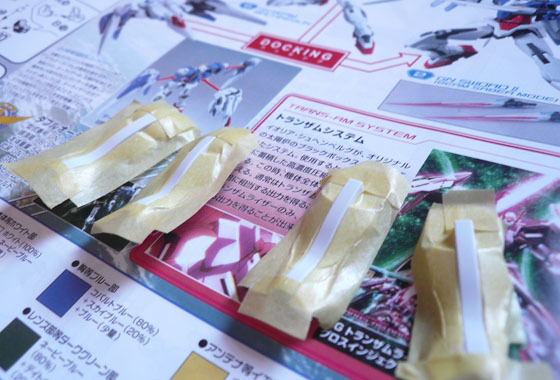 Tamiya masking tape is a winner every time, i’m running out fast though! Glad i’m not the only one who builds in the order they want. 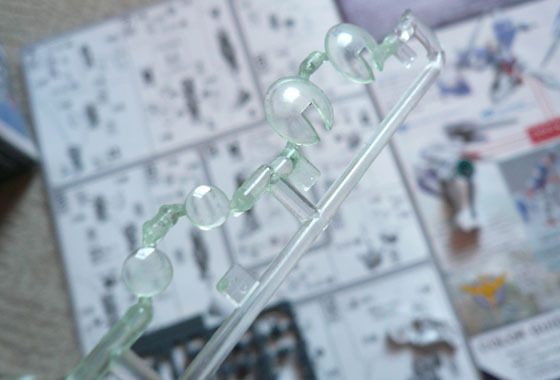 Originally I was worried i’d put something together wrong or forget to add something but it usually turns out ok 🙂 it’s nice to get something complete in front of you, especially with MGs where you’re building inner frame for what feels like forever! hi james , get some 1/2″ or 1″ masking tape off ebay for the larger areas and just use the tamiya for the edges.lasts for ever. and if you get some 3m tape it comes in 25m rolls! i use it to mask off rc car bodies and its the mutts. i wouldnt use the cheap stuff but the 3m is cost effective at that length. 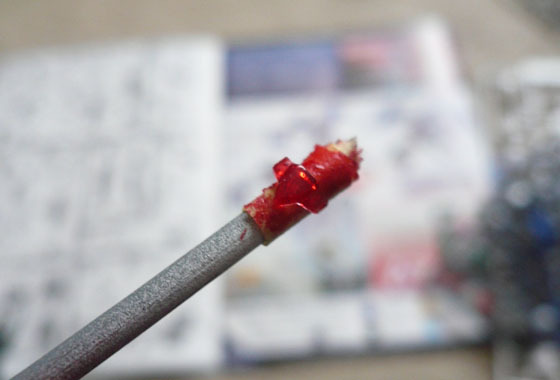 the only other to watch is that you rub down the very edges to prevent bleed. Nice tip i’m gonna have a hunt for that stuff now! You build RC cars too? that’s one expensive hobby, I had a Tamiya Bigwig years ago. 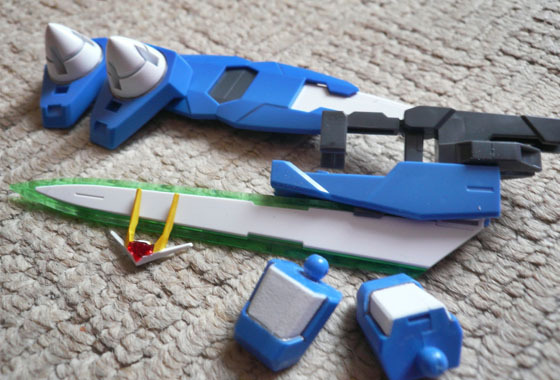 its blue tape if that helps, used in car body work, but you can cut it with a sharp scalpel to follow panel lines. good stuff to use and cheap.